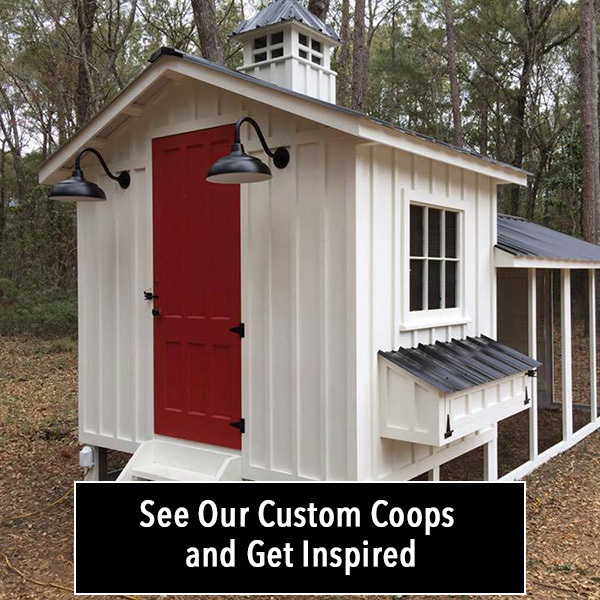 superior-grade chicken coops and accessories. 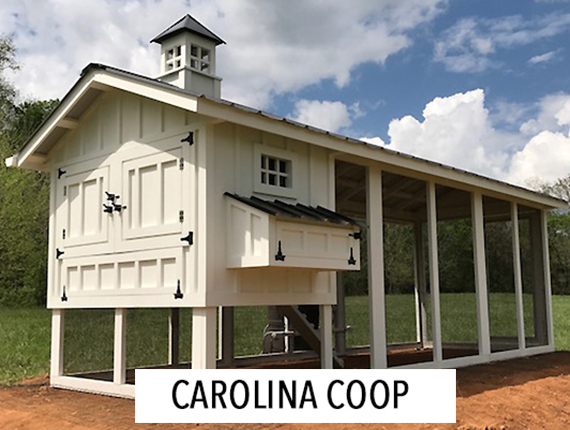 Whether you’re new to functional farming or a lifetime enthusiast, Carolina Coops understands that no two properties have precisely the same needs. 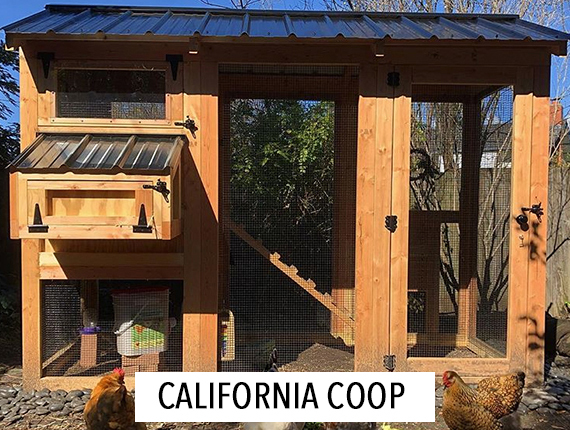 We take great pride in the beauty, durability, and functional performance of our products, and offer a wide range of chicken coops and customization options to make yours perfect. 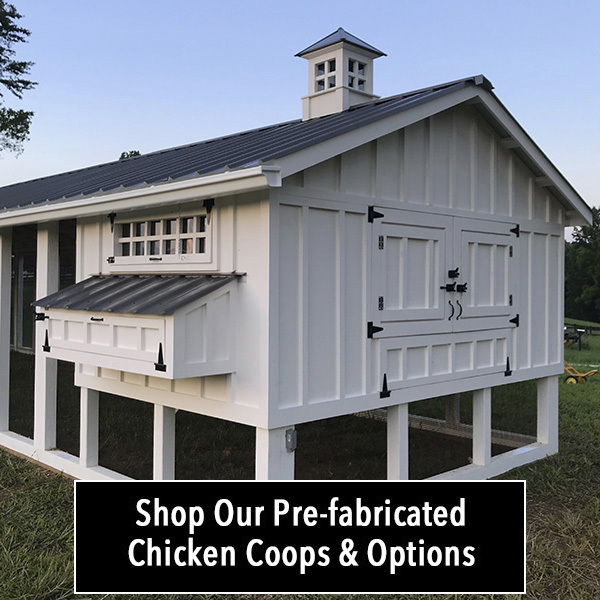 Whether you’re searching for a prefabricated chicken coop with minimal assembly requirements or a custom coop built to spec, the Carolina Coops family makes it easy to choose the option that perfectly complements your backyard or property. 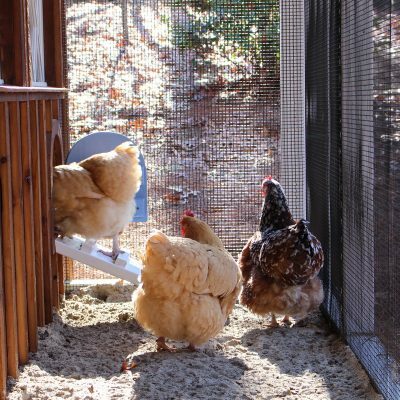 All our chicken coops have our signature deep litter beds so there’s no cleaning out the henhouse for at least a year or longer! 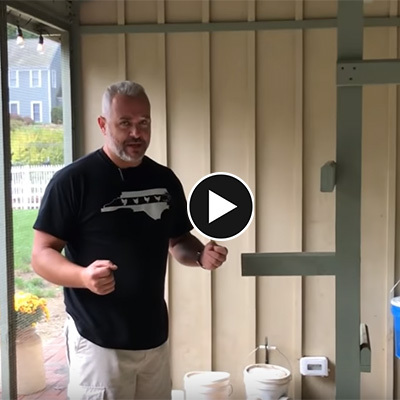 Check out our chicken coop videos or contact us to speak directly with one of our expert builders. 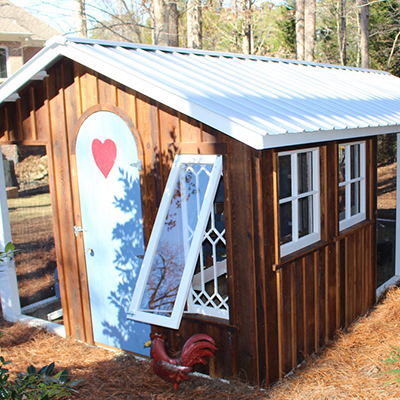 Our walk-in chicken coops are made from premium lumber and hardware and are stick-framed, just like a house. 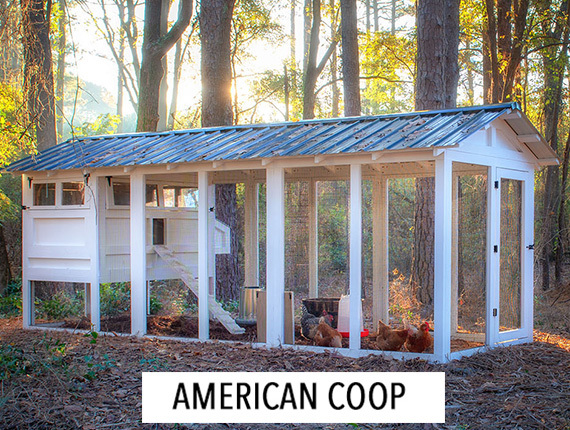 Our coops come with covered runs, have our signature deep litter beds, plenty of ventilation, are predator-proof, and are built to last. Outstanding! Quality craftsmanship, stellar design, and great responsive team. I love my Carolina Coop. Best ever! 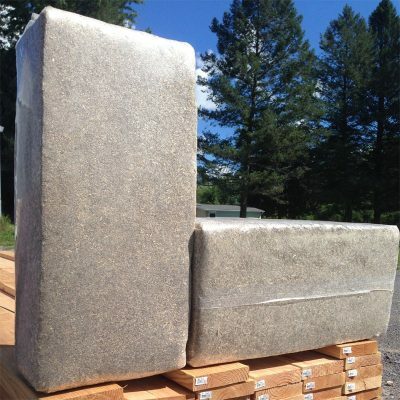 We pride ourselves on our customer service and will go above and beyond to make sure you have the coop of your dreams. 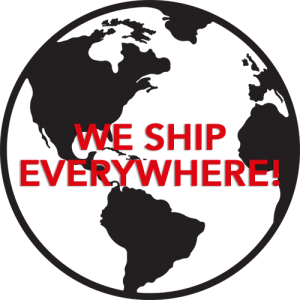 We’re glad that you took time to visit our site, and invite you to contact Carolina Coops for detailed information or answers to your questions.